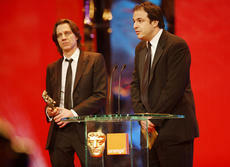 The Academy’s annual Film Awards have continued to evolve since their inception. This year, 25 film awards will be presented to the industry’s outstanding talent. From only three categories at the first Film Awards in 1948, BAFTA now recognises outstanding achievement in 25 Film-related categories. The Academy's Film voting membership, juries and chapters determine the nominees and winners in the majority of categories. We also give out high-profile awards, such as the Academy Fellowship, the Outstanding British Contribution to Cinema Award and the Outstanding British Film Award which are Gifts of the Film Committee and Board of Trustees. This is the highest accolade the Academy presents and is bestowed for an individual's work and achievements throughout their career in the industry. 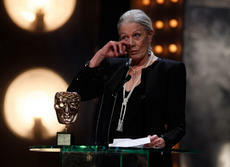 Academy Fellows include Alfred Hitchcock, Sir Charles Chaplin, Sir Richard Attenborough CBE, Steven Spielberg, Julie Christie, Stanley Kubrick and Vanessa Redgrave. Introduced in 1992. This award is presented in honour of Alexander Korda. Winning films include: Shadowlands, The Crying Game, The Madness Of King George, Secrets & Lies, Shallow Grave, Elizabeth, East Is East, The Last King of Scotland and The King's Speech. 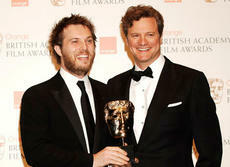 The Award honors a special achievement displayed by a British talent in their First Feature Film. Established in 1992, it was originally called the Carl Foreman Award. The first recipient was Richard Kwietniowski (Love & Death On Long Island). In addition the British public are invited to vote for the most promising talent of the past year in the EE Wednesdays Rising Star Award. The Outstanding Debut by a British Writer, Director or Producer recognises and encourages the most promising new British talent in film writing, directing or producing.